They say that the first time you do something, it's always exciting. And I agree. Though you get anxious and scared when you're just about to do it but when you're actually at it, that's where the excitement and thrill comes in. 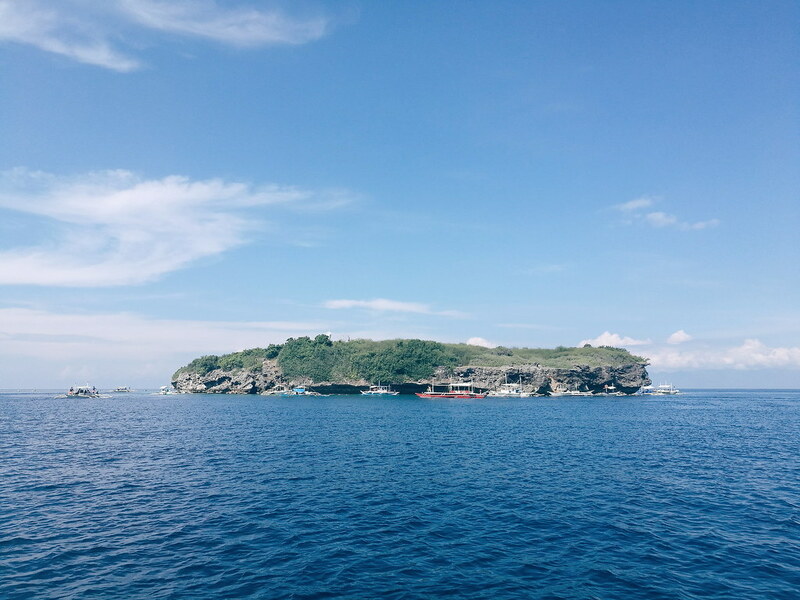 That's what I felt while we're on the pump boat going to the famous and beautiful Pescador Island. 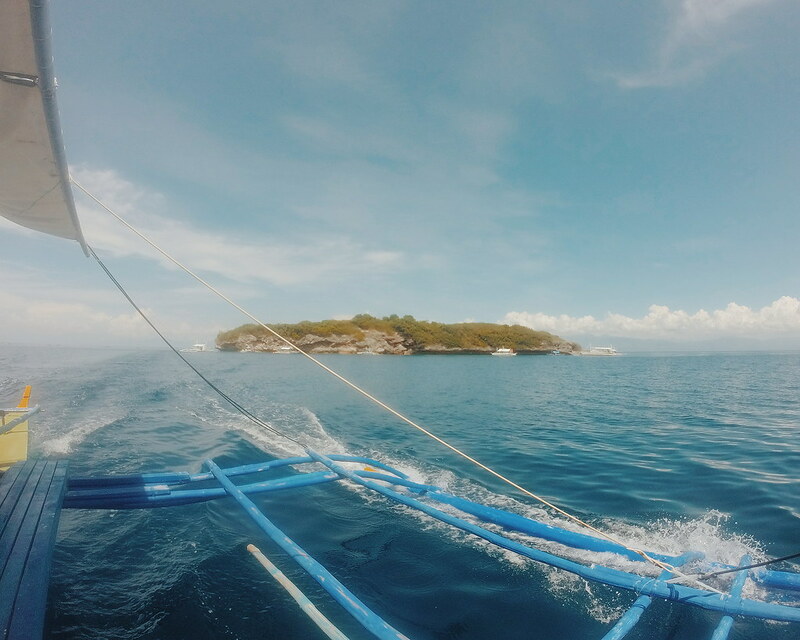 When I was invited to a weekend Moalboal Tour, I was very happy that finally my Pescador Island and Sardine Run dream experience is coming true. But when I was already on the pump boat, just a few minutes away from the island, I was a bit terrified. 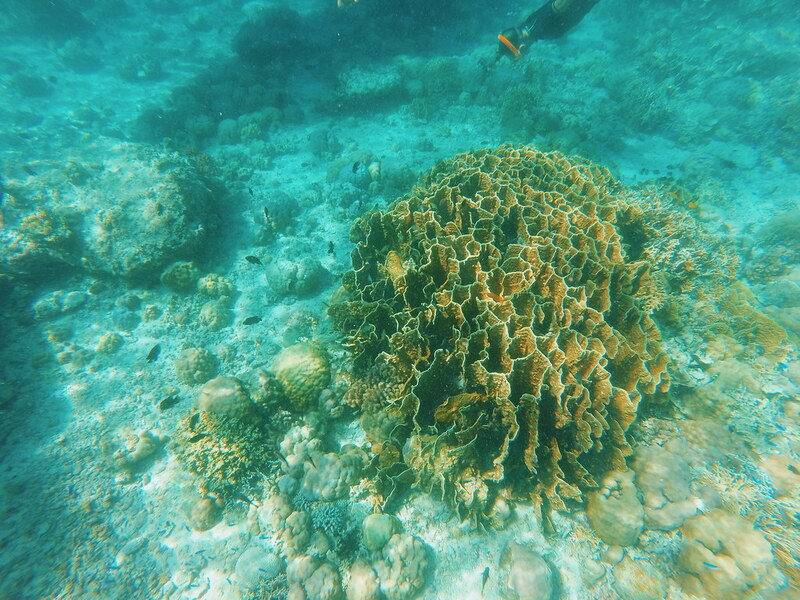 It would be my first time to try snorkeling. It would be my first time to be in the middle of the open sea. But I have to say that that first time, was one of the best and most memorable experiences I've ever had in my travel history. 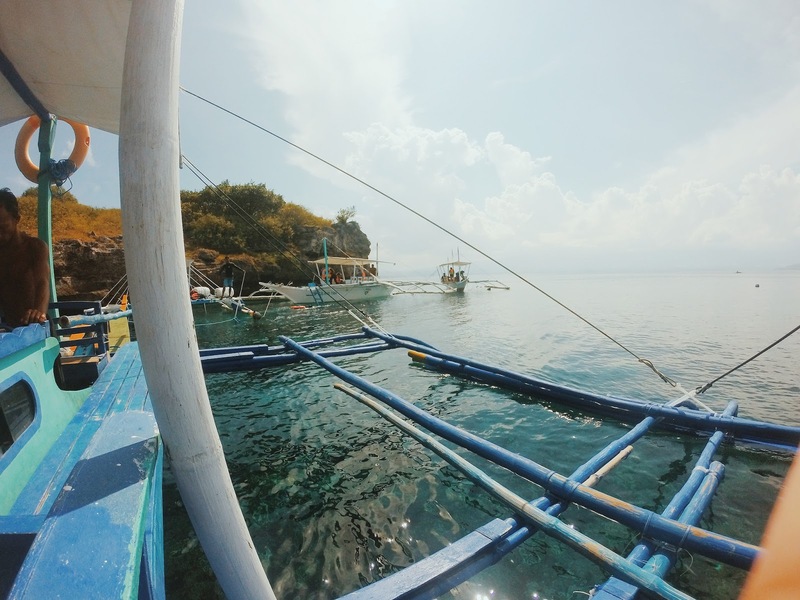 According to my research, Pescador Island belongs to the municipality of Moalboal and is located along the Tañon Strait. Pescador is a Spanish word which directly translates to fisherman as there are a lot of fishermen who go there because of the island's abundance in fish. As our pump boat got nearer the island, I was getting more excited and nervous at the same time. When we finally docked, we each got ourselves a snorkeling gear and prepared to get off the boat. I have always been confident in swimming pools no matter how deep it is because I know that it's an enclosed space and that I can swim to the edge when all else fails. Of course I've been to the beach a million times but being in the middle of the open sea was something very new to me. I braved and told myself that it's going to be okay since I have a life vest. But boy I was so wrong. The life vest can be the death of you if you don't know how to properly use it. Take that from me who discreetly almost drowned. LOL. Discreetly because I didn't want to make it appear obvious to everyone that I was struggling to swim and get near our boat. In short, mapagpanggap or pretentious. Haha. It was so hard controlling my life vest while the strong current was driving me away. Good thing I was able to make it and never did I went far off the boat again. Haha! I snorkeled in the area just around our pump boat but never forgetting to check how far I went off to. 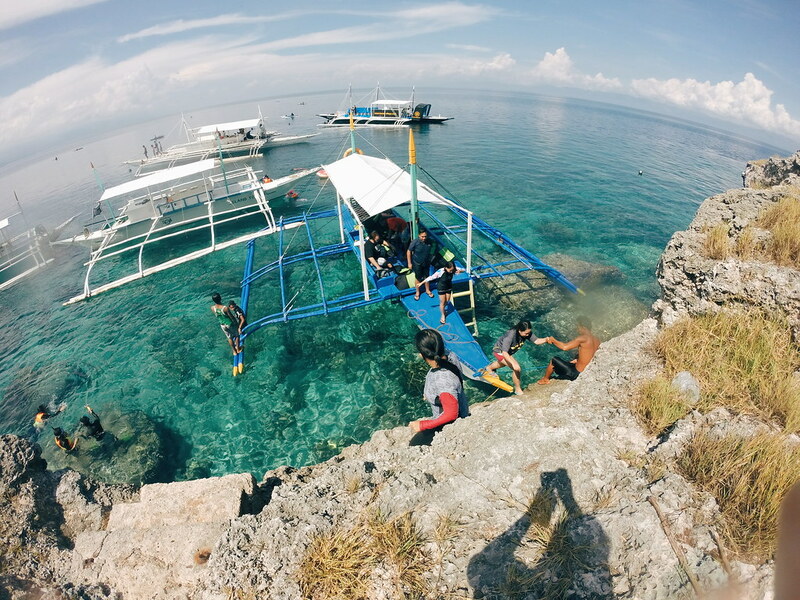 The amazing thing about Pescador Island is you don't need to dive deep to witness the beautiful life underwater. Just a few feet under and you'll see the breathtaking view of the corals surrounding the island and different species of fish. After our Pescador Island feat, we went to the area near Cabana Beach Club Resort where the famous Sardine Run can be witnessed. At first, I was hesitant to get off the boat because there were lots of jellyfish around the area. But I thought, "this is a once in a blue moon chance so I gotta do it now". So off I went down again and that time I tried without a life vest. I didn't go too far from the boat because I didn't want to risk too much. 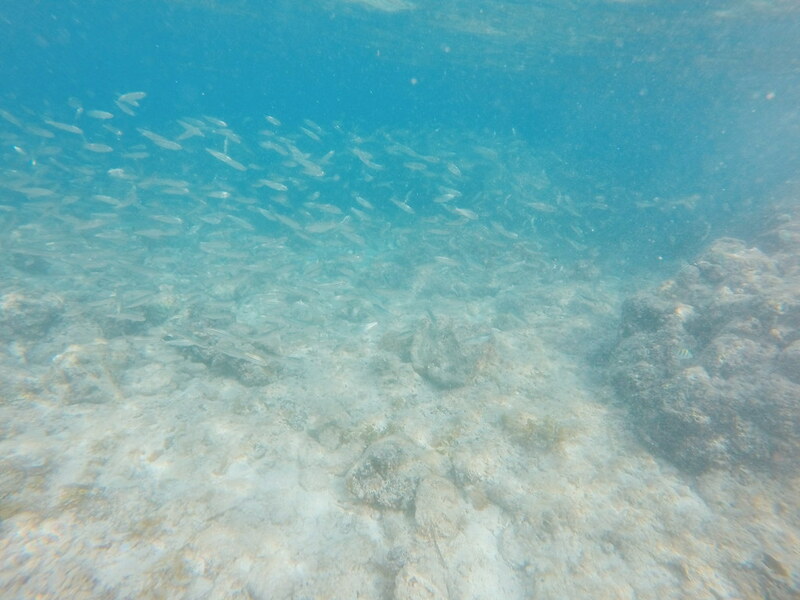 So I snorkeled just a few meters away from the boat so I can easily grab on to something when something happens. I really wanna die, don't I? Haha. 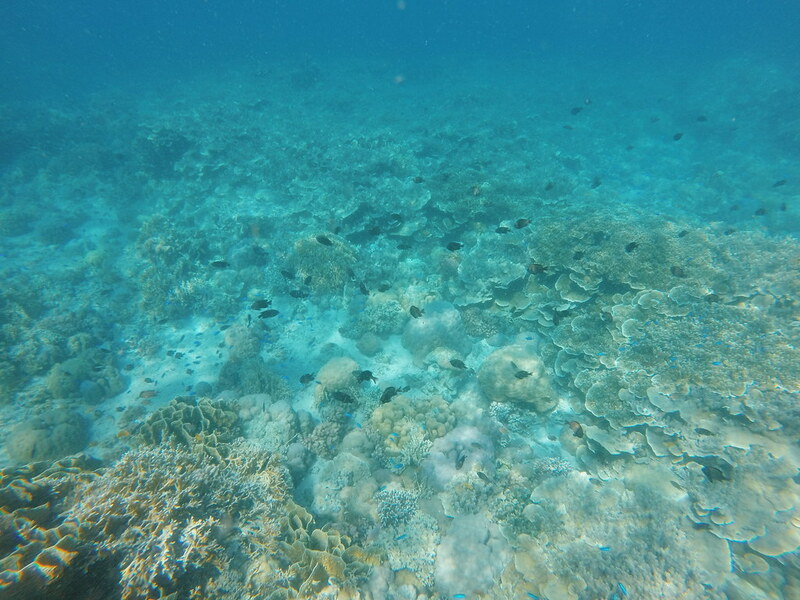 And while I was snorkeling, I unfortunately saw few pieces of trash in the sea. I hope that the local government would initiate a cleanup drive as soon as possible. It's sad to know that we Cebuanos are so proud of the place but we don't take care and help maintain its cleanliness. 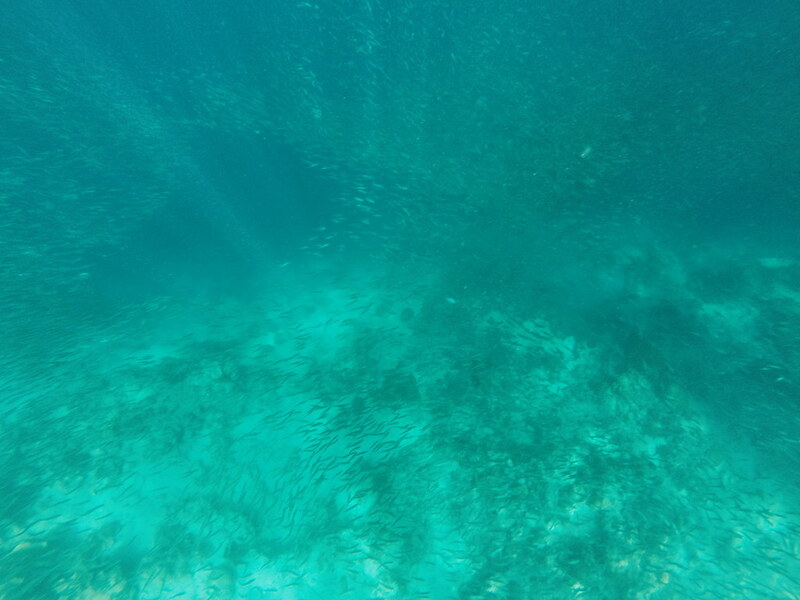 Nevertheless, I was still able to enjoy the sight of the amazing school of sardines. I was very happy and overwhelmed with my snorkeling experience that from that day on, I promised that I'll have more adventures like this in the future. I would like to thank Cabana Beach Club Resort for making our wonderful weekend trip to Moalboal possible. It was definitely one for the books! Nindota diha Janine oi! Nice nga experience. Mahadlok lang jud ko tubig. Dili kaayo ko kamao molanggoy hahaha.